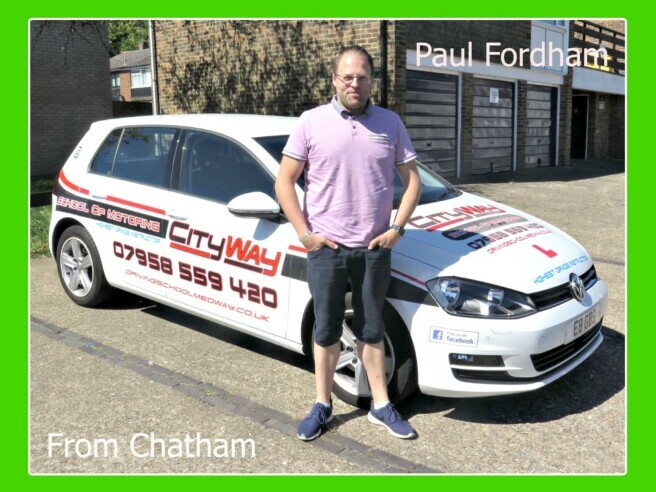 Paul, started his driving lessons with City Way School of Motoring, having had some driving experience in the past and wanted to pass the Manual Driving Test Category. Having assessed Paul’s, current driving standard it was agreed that a short intensive driving course was the best route to follow. Driving Lessons started with me; we established that we needed to create some structure, to allow Paul to forward plan, by regularly checking his mirrors and look further ahead, making decisions earlier, therefore avoiding driving into situations that can be avoided. Overtime Improvements followed as Paul began to learn from his errors, and started to perform to a higher standard with his confidence growing day by day. Test Day came along, and Paul, had a sensible approach to his Driving Test and just put into practice what he had been taught, which resulted in a 1st-time pass. Paul, already has his car sourced and starting a new job next week. Everything has come together entirely. Well done Paul, for a 1st class performance.